It is not easy to live with. Chronic or Acute, Pain is depressing. Photobiomodulation or PBMT does not involve creating heat like lasers used for surgical procedures or even lasers developed 5 years ago. PBMT units use light sources including lasers, LEDs and broadband light that use exact bands of light which are able to target specific tissue depths with precise accuracy. With PBMT, a light source is placed near or in contact with the skin, allowing the light energy (photons) to penetrate tissue. The light induces a complex chain of physiological reactions in diseased and damaged tissues to accelerate wound healing and tissue regeneration, increase circulation, reduce inflammation, reduce acute and chronic pain and help restore normal cellular function. Interestingly, recent research indicates that light can also enhance performance in normal tissues and cells. PBM devices have been cleared for marketing by the FDA through the Premarket Notification/510(k) process as adjunctive devices for the temporary relief of pain. What does Low Light Laser treatment feel like? Does it hurt? There is little or no sensation during low light laser treatment. Some report feeling a mild, soothing warmth or tingling. Are there any side effects or associated risks? Within the more then 4000 studies and with more than twenty years of use by practitioners around the world, very few side effects have ever been reported. If a patient is allergic or ultra sensitive to light they may get a rash for a few days. Occasionally, as the healing response occurs, some chronic injuries or pain syndromes may initially feel aggravated post treatment . How long does the treatment take? Depending on the condition and the size of the area being treated, The average treatment duration is 5 minutes. How frequently should a patient be treated? Acute conditions can initially be treated once or twice a day. Chronic conditions respond best when treatments are received 3-4 times per week. How long until I notice results? You may feel results after your first treatment. Each treatment is cumulative and most patients feel results after 2-3 sessions. With a MRM device, you get a team of support from the home office. Power: 15watts with multi-wavelength light sources. Three settings, easy to follow directions for use. Accessories / Included: 8 hour rechargeable battery, operating manual, carrying case, 2- Pairs of Laser Googles, safety strap and a protective silicone cover. Multi Radiance Technology was specifically designed based on research and clinical trials for physicians who specialize in pain management. 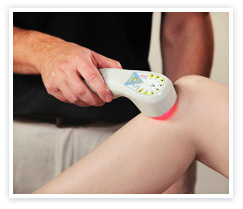 The PainAway PostOp laser is a professional grade medical device. This unit uses the same wavelengths as the more powerful professional medical units but with 15 watts as opposed to 25 and 50 watts. The more powerful units allow for shorter treatment times. This 15 watt unit is also sold to medical practitioners to rent out to patients. The PainAway PostOp therapy unit is simple and easy to use. It has three treatment modes that can drive healing photons (or light energy) up to 4-5 inches deep. 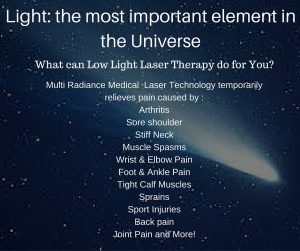 The three light wavelengths and the magnetic field are targeted for optimal results that have been developed and enhanced by over 20 years of scientific research and studies. Because of its cordless flexibility, it is also great to use on your pets. Dogs, Cats, Horses, It is even being used on Elephants and turtles! Do you have a question, story or comment about LLLT, or PBMT? Please leave me a note, and I will get back to you! 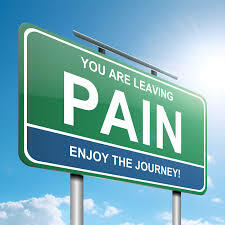 May we all live pain Free!